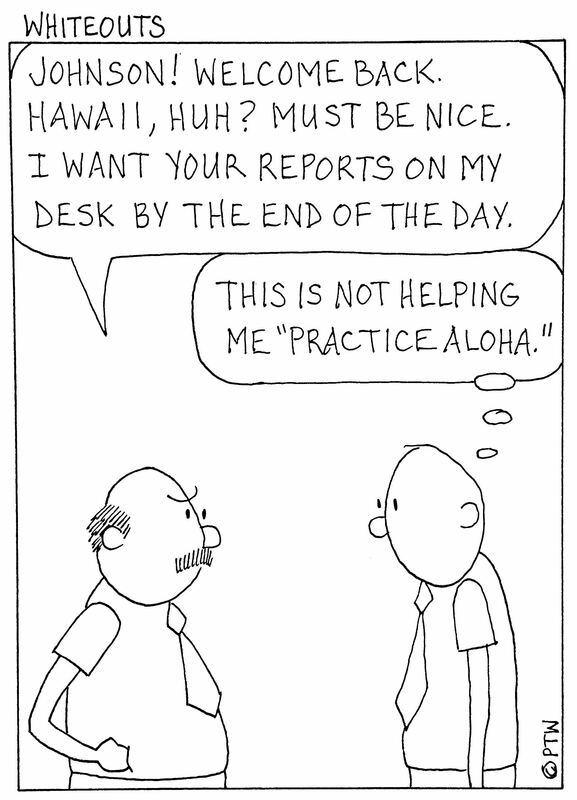 I recently saw a “Practice Aloha” sticker on a truck. When you buy this memento in the airport while leaving the islands, you’re intentions are pure. You think, “Yes, by golly, I’m gonna go home and practice me some aloha.” Even when you peel it off and carefully place it just so on the back window of your rig, you still believe it can be done. Then, you get cut off in traffic and instead of throwing the “hang loose” sign, you display an entirely different gesture.